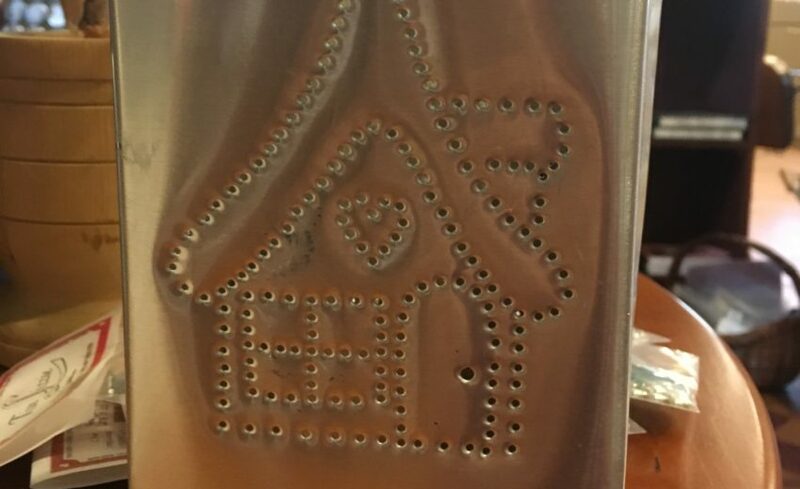 Landis Valley tinsmith Beth Feaser will show you the basics of tin punching and other techniques in this workshop You will have the opportunity to make several projects, such as Luminaries and other pieces. Bring old scissors or wire cutters, ice pick or awl, and a hammer. About the instructor: Beth Feaser has been demonstrating the art of tinsmithing at Landis Valley for twenty years. She has been a working tinsmith for even longer! Hours: 1 p.m – 4 p.m.